BELL GARDENS – After almost 55 years in business, two local business owners have decided to close-up shop at their popular Bell Gardens fast-food restaurant. Since the 1960’s, Downey residents Russell and Mary Jones have presided over a humble fast food restaurant chain known as Taco Quickie and Quickie Dog. The restaurant’s roots have some surprising ties. Bell’s first attempt at the fast-food Mexican chain idea may be familiar to Downey residents. Bell’s endeavors also included Plaza Guadalajara in Downey, which the Bell’s became involved with. “My parents originally had Mr. Bell work with them to have the hamburger stand in Plaza Guadalajara,” said Jones-Tintle. This would set the stage for Taco Quickie, which came to be in 1963 after the husband and wife decided to try and venture out on their own. The name came from a play-on-words stemming from Mary’s maiden name; a decision made after it was decided that “Taco Jones” didn’t have a “true ring” to it. “A lot of folks that grew up in Bell Gardens in particular have a very strong loyalty for Taco Quickie and Quickie Dog," said Jones-Tintle. On Sept. 29, Taco Quickie announced via its official Facebook page that the final day for the restaurant would be Oct. 8. “It’s time. They’re tired; they want to take a break," said Jones-Tintle, referring to her parents. 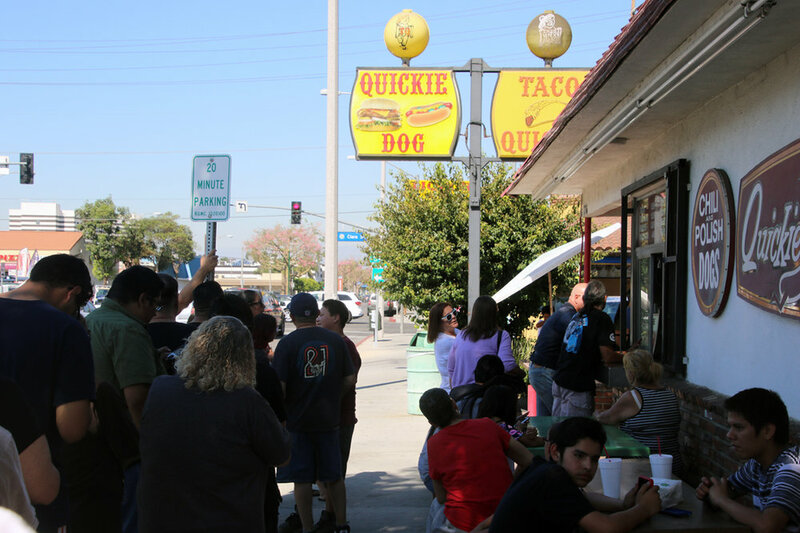 The announcement of closure drew a strong local community reaction, with many coming out and waiting as long as an hour to enjoy Taco Quickie’s food one last time. Now, the Jones’ look forward to a retirement full of fond memories, while holding strong the integrity of Taco Quickie’s legacy.